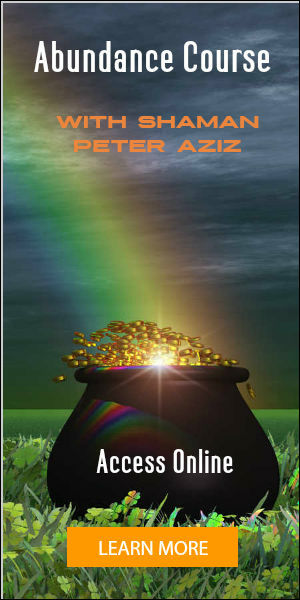 Ultimate Healing is the name I have given to a core part of my magickal healing work. It is the basis for my powerful Body Electronics Ultimate Healing Course which I run every summer, a major part of my core Tethatu Shamanic Healing Training and a series of Body Electronics Advanced Pointholding workshops. I have written a book called the Ultimate Healing Handbook to accompany these courses – Part 1 can be downloaded free here. Ultimate Healing has developed from 30 years experience of shamanism and advanced scientific research on endocrinology and quantum physics. It can free us of all stored traumas, limitations and behaviour, transform consciousness, greatly expand awareness and personal power, and regenerate the body and vital energy. To explain how it works, we need to begin with a creation myth. In the beginning, the goddess blew a bubble for love. Quite a small bubble for the goddess; only 300,000,000,000 light years across. Into this bubble she breathed life. Her light entered the bubble, and began to reflect off its surface. The interference pattern created by this light gave rise to the universe. Scientists recently discovered the spherical hologram. A beam of light reflected on a hologram produces a three-dimensional image. If a spherical hologram is used, and a beam of light enters through a hole, the multiple reflections produce complex three-dimensional worlds within. The universe is like a three dimensional hologram, where everything is created out of interference patterns of light. Science has known for a long time that the world isn’t really solid. It consists of atoms, with so much space in between that the only thing that stops one object from passing through another is the energy field of moving electrons. Then they discovered that even the atom isn’t really solid, it has a tiny nucleus, with electrons in wide orbit around it. The actual amount of solid matter is so small that if the earth was condensed into neutronium, which means that all the electrons collapsed into the nuclei of each atom, it would be about 1 cm across. Then it was discovered that even the nucleus isn’t solid. It consists of protons and neutrons, with much spacing between, and these particles are further divided into quarks, with more space between. The quarks can further be divided into neutrinos. It was then discovered that not only are quarks made of neutrinos, but the space in between was also made of neutrinos, but vibrating at a different rate. The only difference between substance and nothing is the vibratory rate of the neutrinos. When the scientists experimented to see why the neutrinos would become one thing one moment, and another thing the next, they discovered that neutrinos always become what they are expected to become. So they have confirmed what mystics have said all along; that matter is an illusion created by consciousness. The wave -particle duality model shows us that these particles are waves until they are observed. Observation localises the waves into particles. The whole universe is nothing but a wave pattern that we make real with our awareness. Our bodies are our most personal physical creations, which reflect our thoughts, feelings, beliefs, attitudes, choices and decisions. To understand how we apply this to healing, we need to look at how our thought patterns become crystallised into the body. Every sensory experience, thought and emotion produces an electrical wave, which passes through every DNA molecule in the body. The structure of DNA is a spiral which turns back on itself and spirals back the other way, so any wave that passes through it will go both directions at once. The result is a scalar wave, an information wave that has no direction. When this wave is consciously experienced, it moves through the corpus callosum of the brain, which is in the shape of a Mobius strip, a strip that is twisted in the middle and coils back on itself, so any wave that passes through it undergoes a 180 degree phase change, which cancels out the wave stored in the DNA coil by destructive interference. Any thought, feeling or sensory experience that is not fully conscious will remain as a wave within the DNA coil. The electrical wave then draws to itself a melanin-protein complex and forms a crystal. 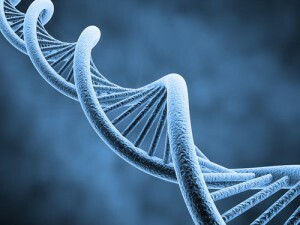 So every suppressed experience, thought or emotion is stored as a crystal in every DNA molecule in the body. The body is like a three dimensional hologram, where each part of the DNA effects different parts of the body. Different emotions will be stored in different organs in the body, and the function of these organs is impaired by the crystallisation. 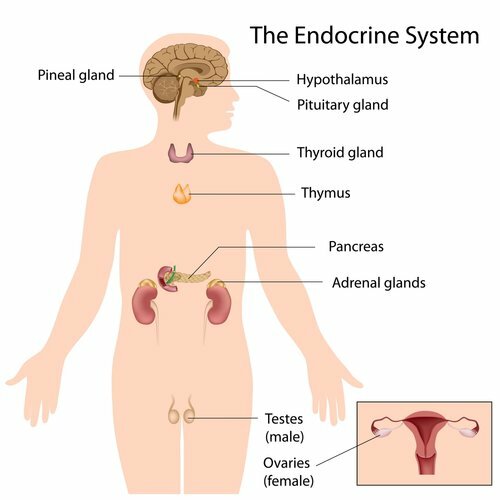 The seven coils of the DNA resonate with the seven endocrine glands, which will store seven emotions that tend to be suppressed along a scale. Read my article The Seven Levels of Emotional Healing for details of which emotions are stored where and how they can be released. 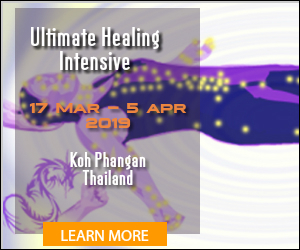 If you would like to learn more, the next opportunity is to join my Ultimate Healing Intensive or the Tethatu Shamanic Healing Shamanism Training which devotes the final 4 modules to Body Electronics healing. Previous PostCrystal Magick: Their Powers & How to Work with them on AutopilotNext PostLegendary Magickal Powers – How real are they? I had the amazing pleasure of attending Peters Body Electronics Summer Intensive this year (2014). I will embrace the tears flowing as we were taught to welcome our emotions with enthusiasm. This was by far the most amazing experience of my life. I began to feel release and transformation the first day…..through the very last moment of our course. My life is new….from my health (spiritual, emotional, physical and mental) to my overall perspective of living. Peters delivery of this work is brilliant as he displays his love for us all through his compassion, generosity, and selfless demeanor. Peter was available for questions and offered limitless amounts of information. I received so much more than I could have ever imagined. Thank you again Peter. Looking forward to meeting again at your upcoming Advanced Point Holding Course.